These conical washers are used to maintain proper suspension movement, particularly when our Dubro "Monster Duty" rod ends are used. 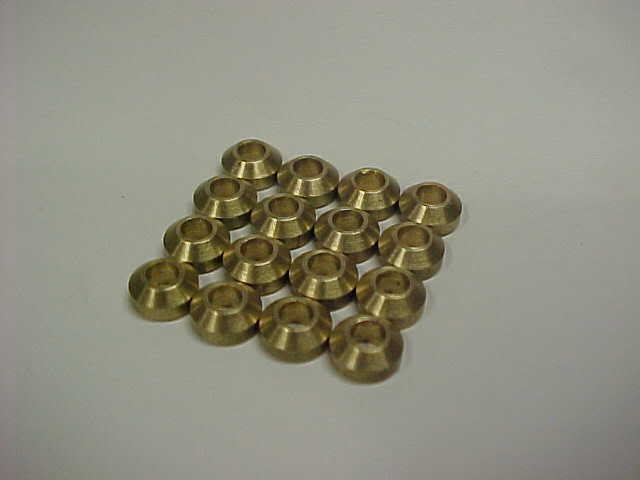 This set of 16 washers will typically cover installaion on one complete vehicle. These will work with either #4-40 or M3 mounting hardware. Note: These now come with a chrome plating. This product was added to our catalog on 11/21/2010.